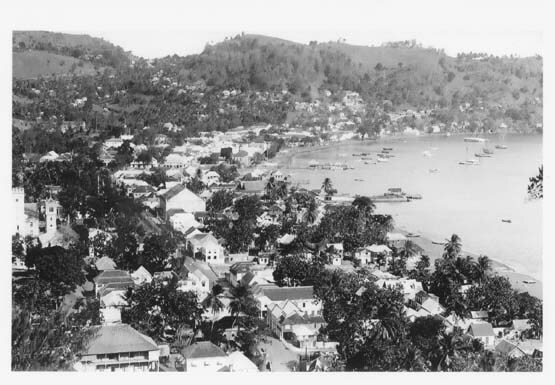 Kingstown in the 1920's. It was brought to my attention that there was no Bay street. There seems to be a tree that is almost in the water that can also be seen in CVD Hadley's 1947 photos. If only one could travel back in time to listen in for one day to the activities in a single household. What was school like? Was there fire and burning-in-hell sermons at the Anglican church? I suppose romance must be like today - perhaps a basket of mangoes, fine clothes and a gentle voice would have ....... well, I will leave that to your imagination.